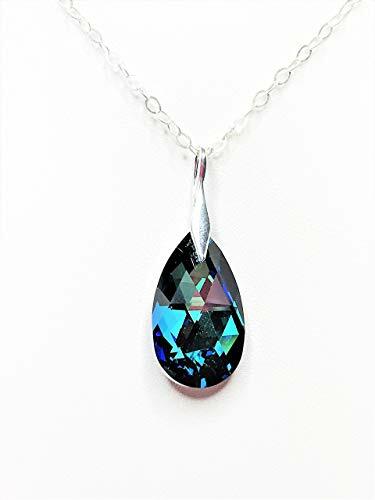 A beautiful necklace made with Swarovski elements featuring a Crystal Bermuda Blue Swarovski Teardrop Pendant measuring 22mm, which is mounted onto a sterling silver bail with an 18 inch sterling silver chain and clasp. The perfect gift for anytime wear. The necklace will come safely packaged in a lovely gift box. If you have any questions about this product by LynnsGemCreation, contact us by completing and submitting the form below. If you are looking for a specif part number, please include it with your message.